Coastal water quality that supports fishing, swimming and a vibrant coastal economy. There are no easy answers to cure the pollution problems that plague our coastal waters. Degradation of water quality took decades to occur and is caused by modifications to the landscape. Buildings, highways, parking lots, yards, farms and drained forests prevent rain from soaking into the ground. When downpours occur, our cities, subdivisions and fields can generate large volumes of runoff contaminated with sediment, bacteria, pathogens, chemicals and nutrients. About 25 percent of coastal shellfishing waters are polluted with bacteria, and most of the coast is now off-limits to shellfishing and swimming after big rain events. Install urban retrofit projects that will reduce half a million gallons of polluted runoff from flowing into coastal waters each year. Promote land-use practices that replicate natural hydrology and find opportunities to retrofit existing land uses that impact water quality. Develop watershed restoration plans that estimate the volume of runoff that must be eliminated to restore water quality, and that identify cost-effective pollution reduction projects. Promote innovative measures that improve the operation and long-term maintenance of permitted stormwater management systems. Educate and train property owners, businesses and students about ways they can prevent and reduce polluted runoff. 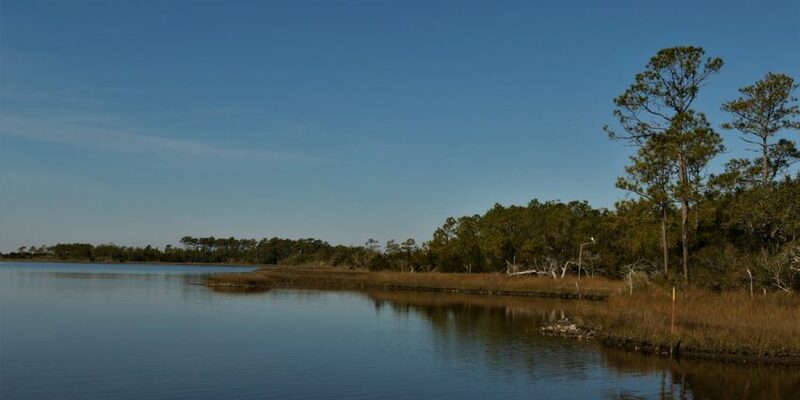 Begin the restoration of at least 5,000 acres of wetlands along the coast. The federation brings together partners in urban and rural landscapes to use low-impact development (LID) techniques that slow down the flow of stormwater runoff and let it to soak into the ground. LID includes stormwater design techniques that infiltrate, filter, store and evaporate runoff. 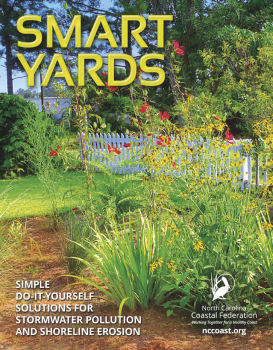 Instead of directing stormwater to ditches, pipes and ponds, LID maintains a landscape that captures and absorbs rain before it has a chance to become polluted runoff. Using a variety of approaches, we work to promote and implement stormwater management programs at the state and local levels. By educating and assisting regional property owners, coastal communities and farmers, we are advancing LID as the next generation of stormwater management. 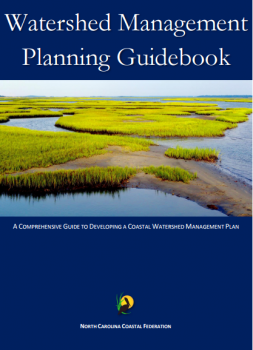 The North Carolina Coastal Federation has developed a working map of sites along the North Carolina coast where stormwater projects have been completed. This map features descriptions, photos, funding agencies and more. Click on the various sites below and check back for new additions.